Earlier this month, Amelia Moran Ceja, the first Mexican-American woman to head up a wine production company, visited Boston. Between sales calls, the president of Ceja Vineyards in Napa, Calif., made her way to Walden Pond. “I could almost hear Henry David Thoreau’s words describing the seasons,” says the literature and history buff (she studied both subjects in college before making the leap to wine). The last time she was here, in 2014, she trekked the entire Freedom Trail in the dead of winter. In 1983, she and her husband, Pedro Ceja, bought a 15-acre vineyard in Carneros, part of Napa County (the two met as fellow grape pickers on the same weekend she declared her vineyard intentions to her father). With no business plan and saddled with what Ceja calls “jumbo loan” payments, they moved from Silicon Valley, where Pedro was working as an engineer, to a tiny house on the newly purchased property. 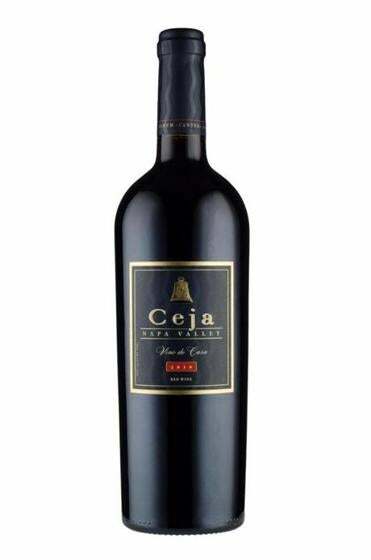 There they raised a family and grew grapes for other wine companies, invested what little profit they made in more land, and finally launched the Ceja Vineyards brand in 2001. Today, the family owns four vineyard properties in Napa, Sonoma, and Petaluma, planted with French varietals, including chardonnay, pinot noir, and merlot. Amelia Ceja’s brother-in-law, Armando Ceja, who trained in enology at University of California Davis, is the winemaker. Daughter Dalia is director of sales and marketing, and sons Ariel and Navek also help. They produce about 9,000 cases each year under the Ceja Vineyards label, and continue selling grapes to others. The wines are gaining attention locally. Sarah Dion, who co-owns four MetroWest Dion’s Fine Wine locations with her siblings, Leah and Joe, and father, Peter, is enthusiastic about Ceja, describing the wines as “balanced, with gorgeous acidity, and not over the top.” This is especially true for a 2010 “Vino de Casa,” a lively blend of pinot noir and syrah, nicely priced under $30. The children who picked grapes together, who now make the wines, love to hear this.